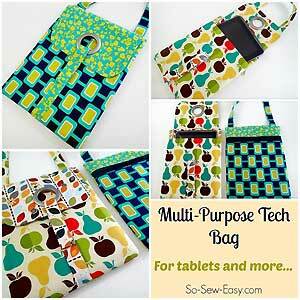 The Multi-Purpose Tech Pattern by So Sew Easy can hold your iPad, Kindle, or even a small laptop in style! 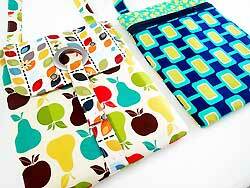 The Multi-Purpose Tech Bag Pattern by So Sew Easy makes a functional as well as stylish carrier for an iPad, tablet, reader, Kindle, or small laptop!There are instructions for a zipper pocket on the back that is perfect for your charger, phone, wallet, etc. 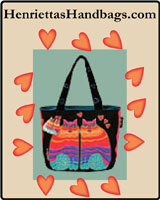 and this bag would also be great to use as a purse! Included in the PDF pattern is an easy to sew zipper technique and a link to a bonus video tutorial. The skill level recommendation is for a confident beginner and the finished size is approximately 9"W x 11.5"H (not counting the strap). Optional - 1 inch strap hardware (2 x D-rings, 2 x swivel clips and 1 x slider) or 2 x 1 inch rectangle rings if you want to create your own adjustable strap. 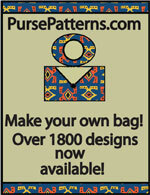 The Multi-Purpose Tech Bag Pattern is in a PDF format and has a total of 16 pages. There is a one page cover, 14 pages of instructions and clear step-by-step photos, and one pattern piece.